Ultimate Cookie Taste Test, Bacon or Not? Not too long ago, an enticing chocolate chip cookie recipe was shared on twitter. It looked quite tasty and I pondered how much better they would taste with bacon. Then it occurred to me, why not make a batch, half with bacon, half without? This idea didn’t come from nowhere. 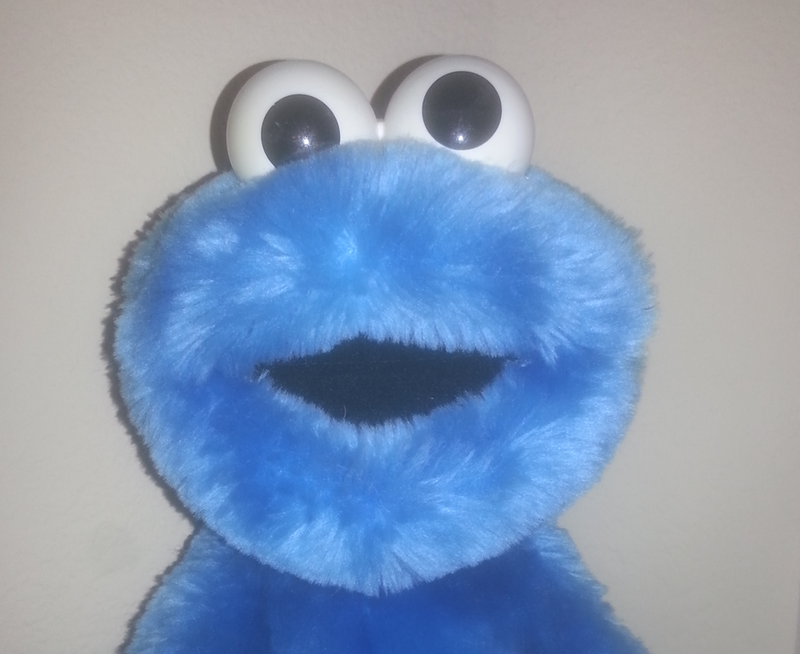 Before I was known as Pie, I had a reputation for eating cookies. Fresh cookies was an easy way to get my attention or bribe me. This tendency is genetic as my uncle married my aunt after she brought him a fresh baked pie. Before I get any hungrier, let’s talk about the recipe. The first trick was remembering to let the butter get to room temperature. I always forget to get the butter out. While this doesn’t always matter that much, I think it is important for this recipe. Half of the butter is actually cooked and it has to happen at the right pace. The butter cooking process needs to be practiced. I do recommend using a light colored pan for cooking the butter so you can see the amber transition. As I completed the cookie dough, I made the requisite taste test. It was great. The molasses added a nice flavor to the cookies. I think the addition of the molasses was the single best quality of the recipe. It carried through nicely to the final product. I then added the chocolate chips and pecans. I forgot an old tip until it was too late. When the cookie recipe says to fold in an ingredient, you should do it with your hands. 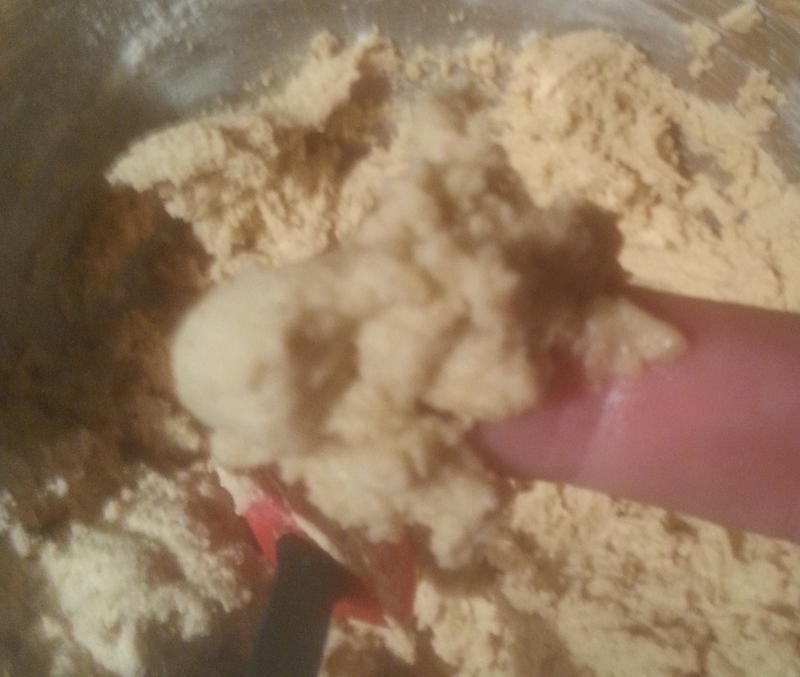 The natural oils of most cookie recipes keeps the dough from sticking to your hands. It is the single best way to mix in the final ingredients without over-working the cookie dough. 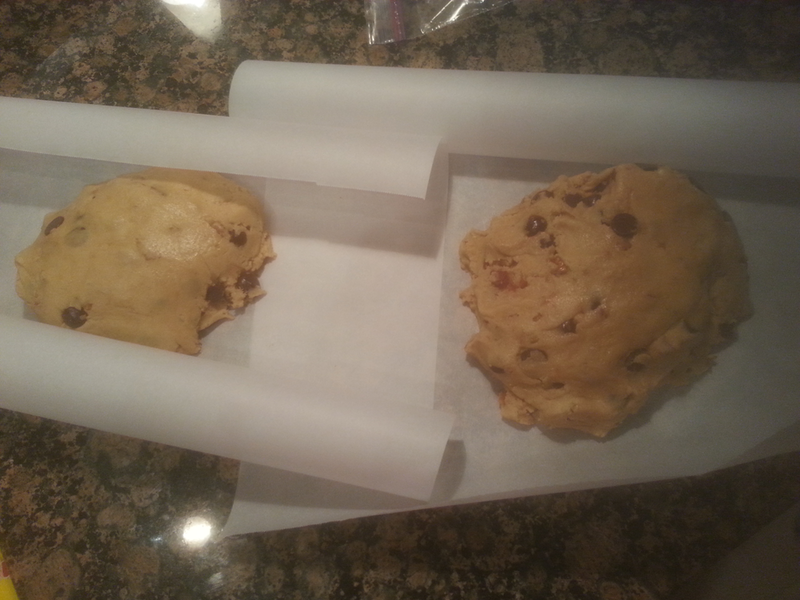 I then divided the dough in half and added the bacon to one half. A tip to cooking with bacon is to cook the bacon as you like it and then add the bacon to your recipe. You will want to make sure that you get the excess grease off of the bacon. I also recommend making the bacon pieces small. That allows the bacon flavor to get into every bite. I then chilled the dough as directed. Don’t rush this stage. It needs to cool before you roll out the cookies. I then baked the cookies, separating the bacon and normal groups of cookies in case they cooked differently. They didn’t appear to cook differently when the final sheet had the remains of both types of dough. All that was left is the tasting. Both versions were excellent. While the chocolate chip cookies may not have been the best I’ve ever had, they were damn good and worth the effort. The bacon cookies were very delicious and the bacon was well in evidence. As for which is better? They were very different. It is like comparing a chocolate chip cookie to a peanut butter cookie. Everyone has a preference. I liked the bacon cookie and would take them every time. One of my kids preferred the version without bacon. Essentially, if someone made the bacon version for me on a semi-regular basis, I’d likely succumb to my uncle’s fate. To be fair, I’ve had my aunt’s cooking many times and I am pretty sure he isn’t suffering. If you like bacon more than just a little, you must try it out. As any great cook will tell you, there are always things to learn/adjust with almost every recipe tried. For the benefit of those who wish to walk in my footsteps, I present my thoughts on what I will adjust. Less salt: Had never tried putting sea salt on top of cookies before. It works but it should be a light amount. That is my taste though. Remove pecans: If you add bacon, forget the nuts. The extra oil was a tad much. The chocolate chips are likely required to balance the bacon so don’t go crazy. Cookie shape: I have to role the cookies a touch smaller and flatten them a tad more. I have this problem with all cookies that I make. Just means I need to bake more often for practice. Bacon amount: For a full batch, I think four to five pieces of bacon would be perfect. The goal isn’t to overwhelm all the other flavors. That would put a sixth of a bacon slice in each cookie. If you cut the bacon into enough small enough pieces, that would be perfect. This may require another adjustment later as I didn’t adequately measure how much I used this time. I will have to try this experiment again with these adjustments. I may also double the recipe so that there are plenty to share with other taste “experts”. In the meantime, I highly recommend trying this recipe out.